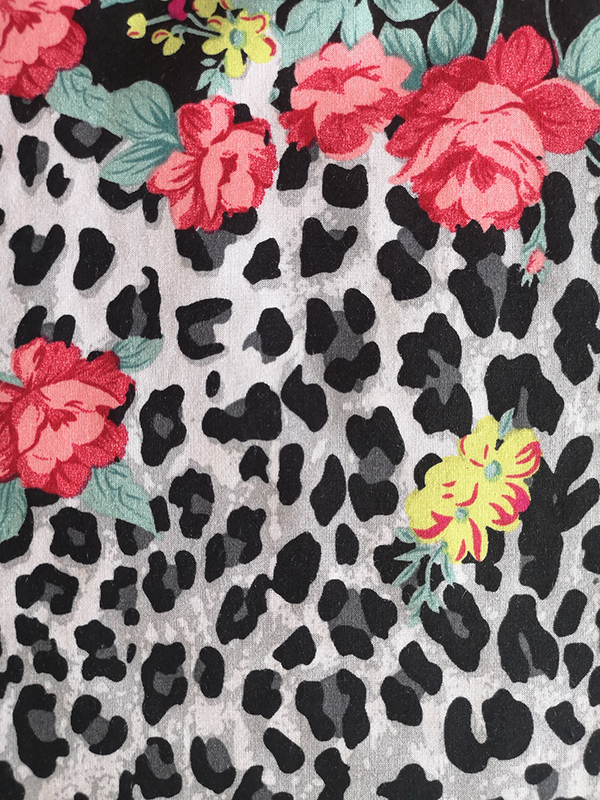 The design number is 1712103558. 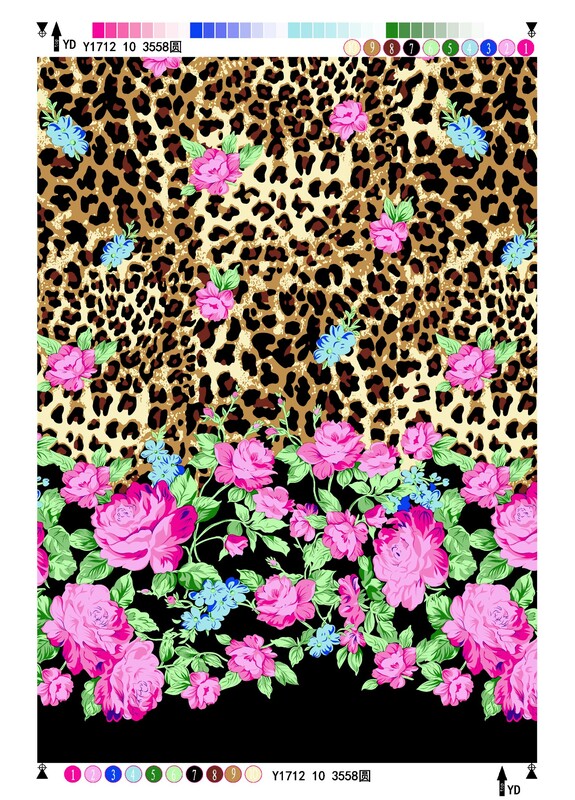 It belongs to animal skin & flower style. 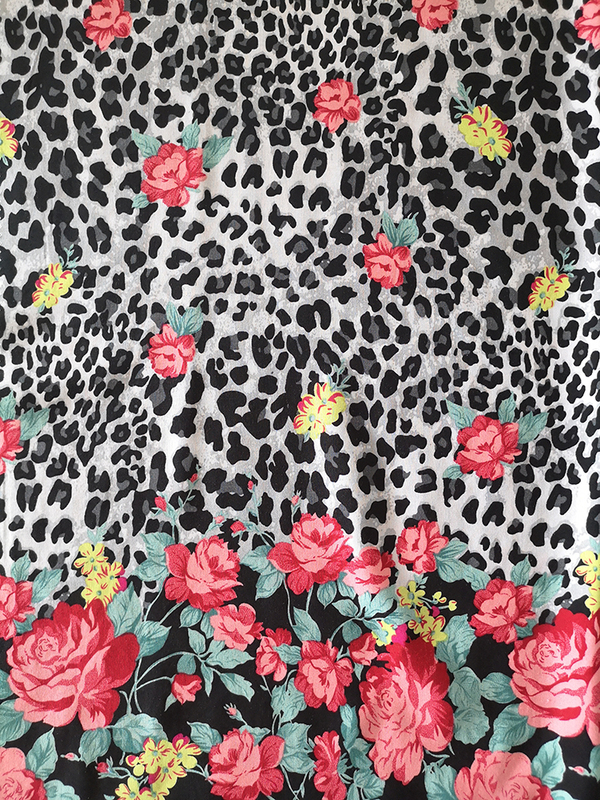 It is printed on rayon challis 30s fabric. 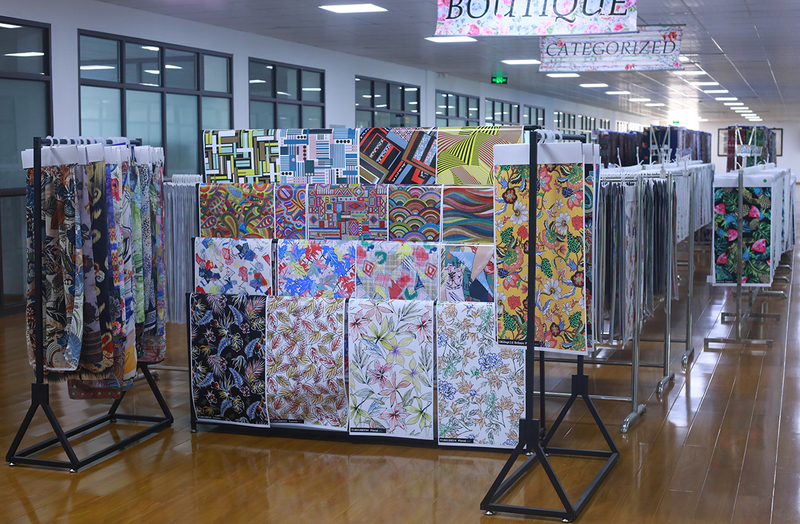 We have other products, like Bubble Printing Fabric, Polyester Print Fabric, Rayon Twill Fabric, Cotton Poplin Fabric, Polyester Stripe Fabric. If you are interested, please feel free to contact us. 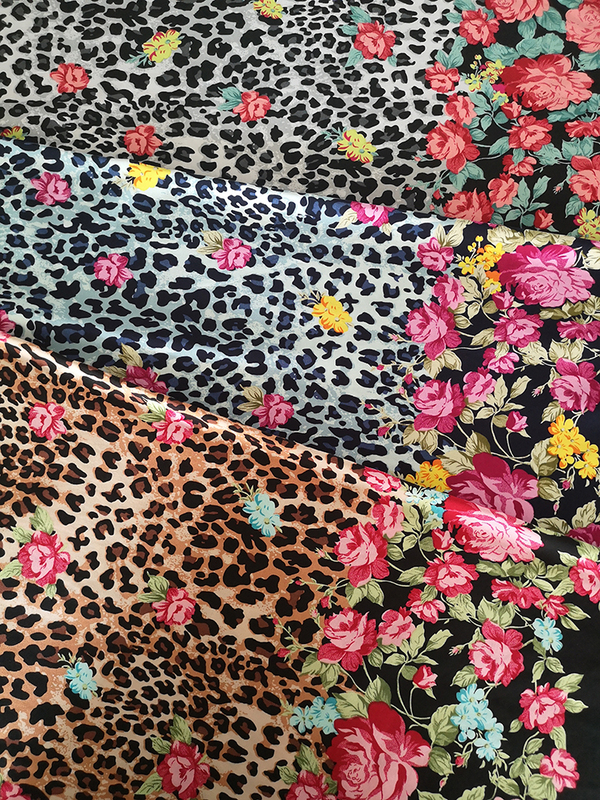 Looking for ideal Animal Skin Rayon Challis 30S Manufacturer & supplier ? We have a wide selection at great prices to help you get creative. 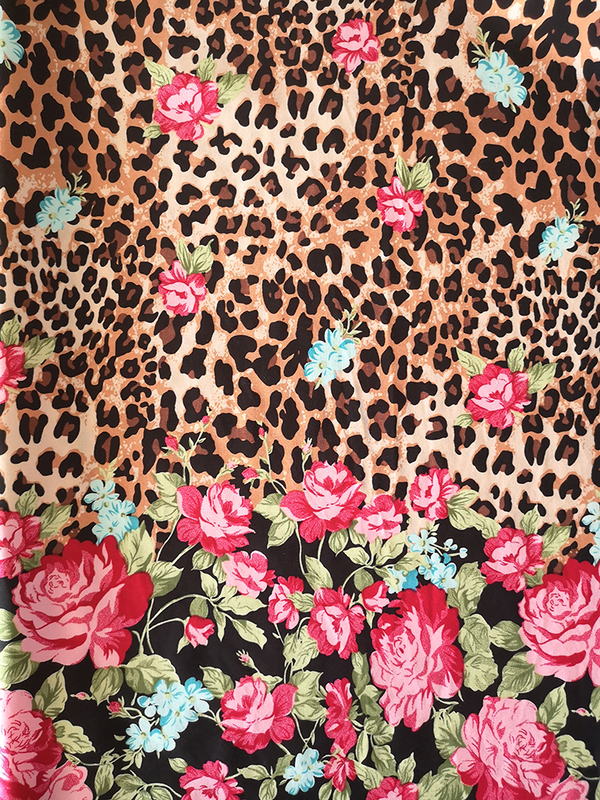 All the Animal Skin 30S Rayon Printing Fabric are quality guaranteed. 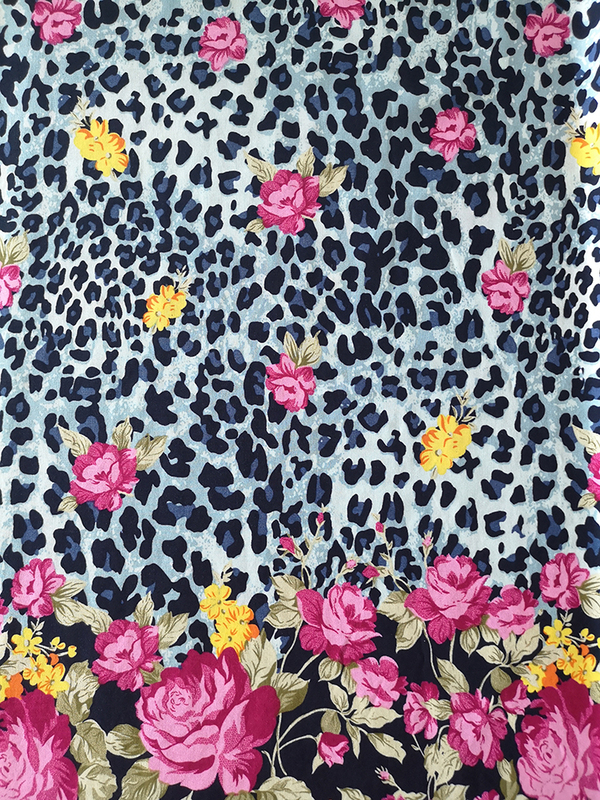 We are China Origin Factory of Animal Skin 30S Rayon Woven Fabric. If you have any question, please feel free to contact us.